This tour includes a number of walks on well marked trails that include uneven terrain. Distances and elevation changes listed are estimates only. Some days offer a choice to extend the hikes, and all days allow group members to skip hikes/walks. This rating is based on the non-extended hikes. Altitude of locations visited are up to 2300 meters above sea level. 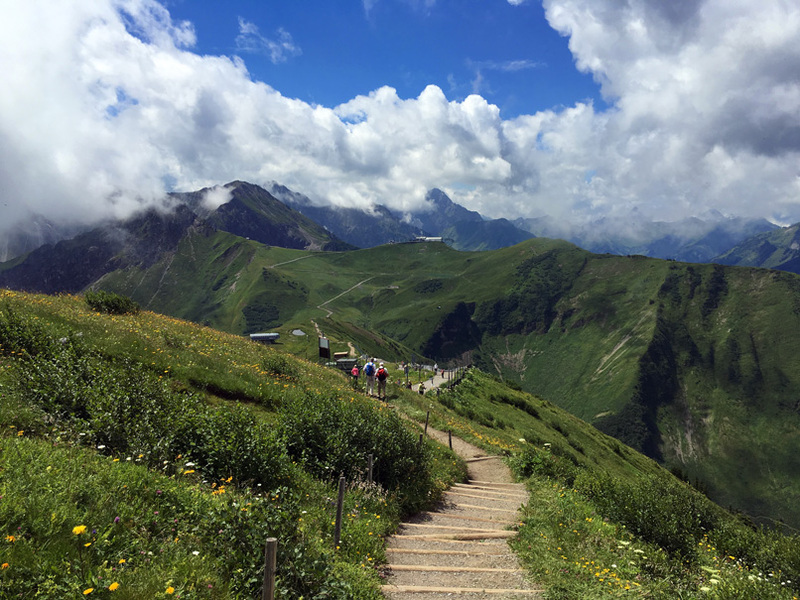 Good walking shoes are highly recommended and members should have absolutely no mobility issues to fully enjoy this itinerary. Itinerary and hikes might be adjusted due to trail conditions or other factors outside of our control. 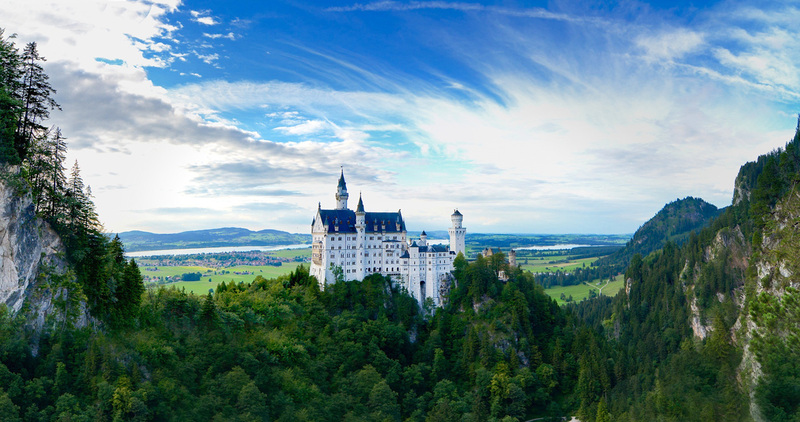 Stunning Alpine vistas speckled with storybook castles and majestic palaces await us as we venture into the Bavarian and Austrian Alps, a region of both distinct culture and a diverse landscape. 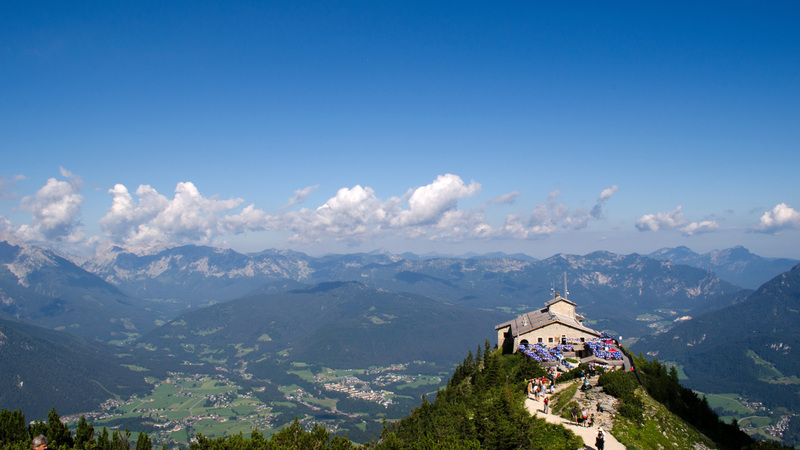 Starting in Salzburg, we marvel at the region’s remarkable musical heritage before venturing into the Bavarian Mountains to Hitler’s Eagle’s Nest high on a peak above Berchtesgaden. 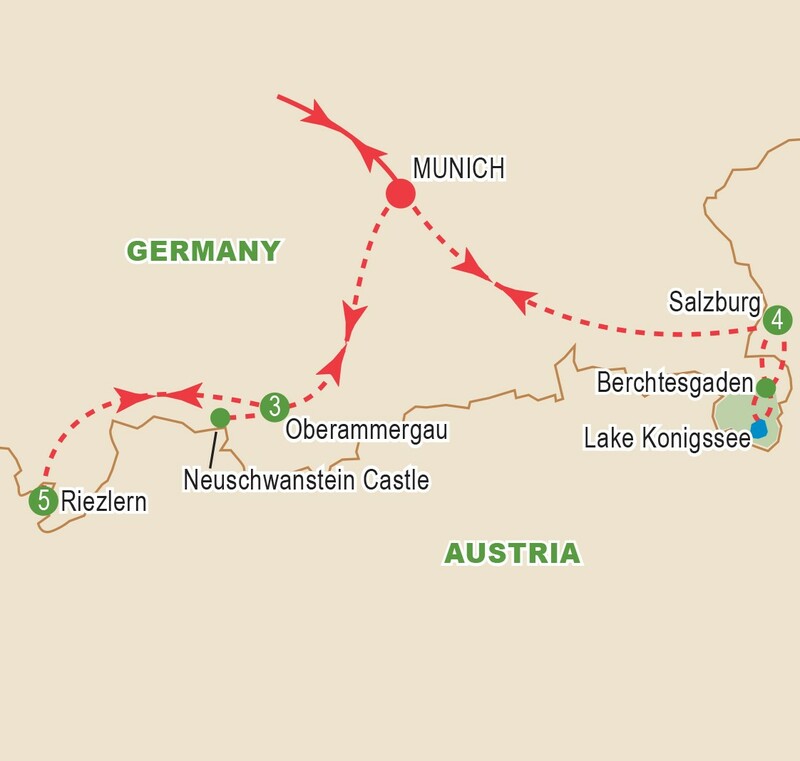 A world of wonder awaits us as we lose ourselves in the grandeur and glory of past times in the tiny Bavarian village of Oberammergau, appearing straight from the pages of a storybook, then on to one of the most famous landmarks and most visited castle in Europe, ‘fairytale’ Neuschwanstein Castle. Days are filled with scenic hiking, as we gaze upon vistas of beautiful parks, dense forests, rolling countryside, and towering peaks. 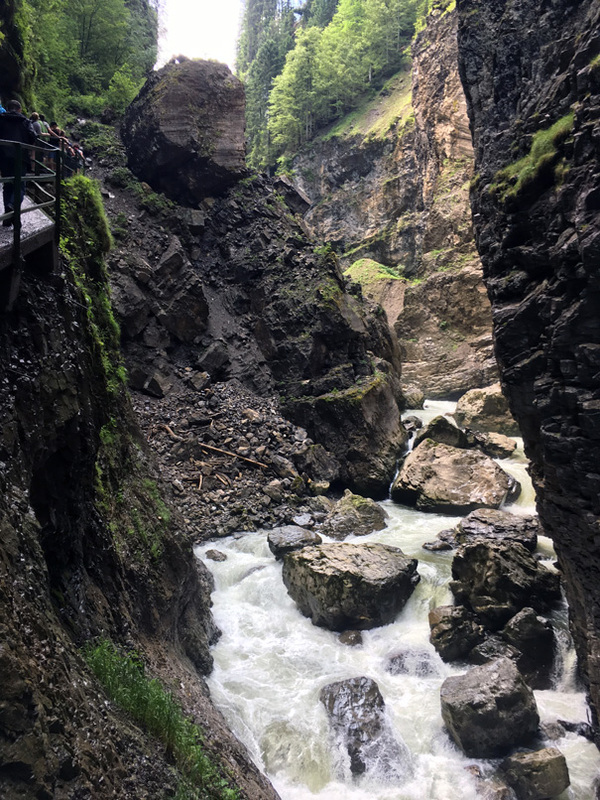 Marvel at the remarkable Breitachklamm, the deepest and one of the most impressive rocky gorges in middle Europe. With a good balance of visits to this region’s great sightseeing attractions and activity in the great outdoors, this exciting hiking adventure promises to be a truly exceptional journey. Group members gather for the transatlantic overnight flight to Munich. Our excursion will introduce us to the delights of this very special city, the birthplace of Wolfgang Amadeus Mozart and the home of the Sound of Music. Our morning walking tour will feature both the birthplace and the family home of Mozart who lived much of his life here, plus Salzburg Cathedral and the Fortress of Hohensalzburg. Stroll along Salzburg’s most famous street, the "Getreidegasse", and admire the magnificent monuments of Baroque and Renaissance architecture. We shall have some free time for strolling and shopping. This evening we enjoy a special Mozart Dinner during which young musicians perform and introduce us into the musical world of Mozart. Today we enjoy the crystal clear waters of Lake Konigssee. In the morning we board our boat and sail across the lake to visit the church St. Bartholoma, located at the foot of Mount Watzmann. After 1810, St. Bartholoma became one of the favourite places for Bavarian kings. From here we enjoy some free time to explore the various walking trails that dip into the National Park. Afterwards we continue to Berchtesgaden and visit a salt mine before returning to our hotel. Our day starts right next to our hotel with a cable car ride to the top of the mountain, the Kanzelwand. Within 10 minutes we cover 870 meters (2,854 ft) elevation to almost 2,000 metres (6,560ft) above sea level. 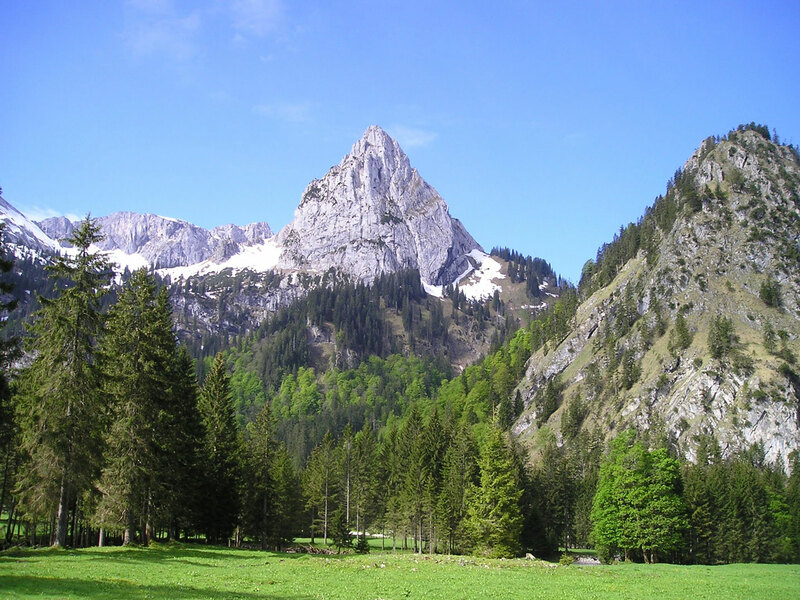 Enjoy the spectacular view down from the mountain to both the Austrian and German sides. We will have a lovely walk to the neighboring peak Fellhorn (approx. 1 hr). Then we continue down to the quaint mountain lodge Adlerhorst for a break. Take your time to learn more about the mountain between two countries. Afterwards group members can choose to either walk 15 minutes back to the cable car or follow the path down the mountain (approx. 2.5 hours) back to Riezlern. 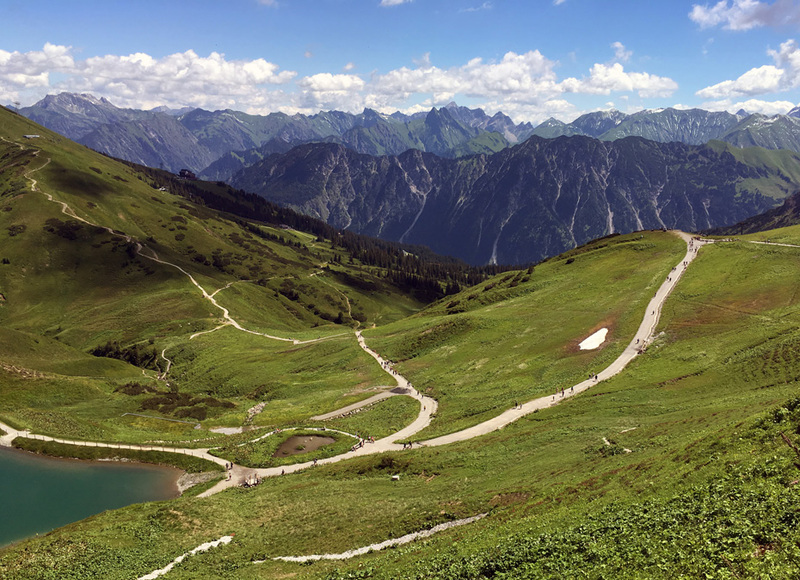 Enjoy a free day today in the beautiful landscape of the Austrian alps. Local buses and cable cars are included. 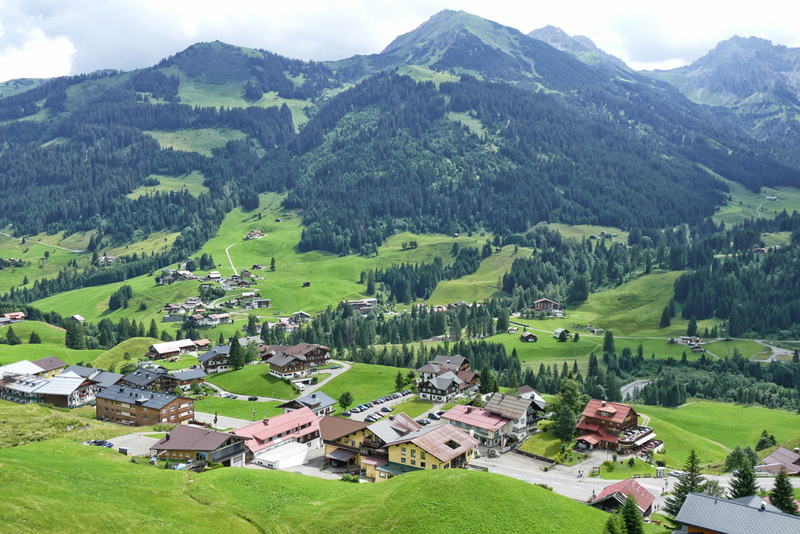 Take the cable car to Mount Ifen or the Walmedingerhorn for incredible views of the surrounding mountains. In the evening we meet for the farewell gourmet dinner at Almhof Rupp. All to soon we have to say goodbye to the mountains and leave Riezlern for Munich where we catch our flights back to Canada. Preliminary Air Pricing: Air inclusive prices are estimated and subject to change. Final pricing will be published, and booked passengers notified, when air is available. Airfares from other gateways are available on request. Airfares and add-ons are subject to change and will be confirmed prior to final payment. Refer to inclusive features for details. Tour price is based on sharing a twin-bedded room at hotels. Prices are based on a minimum 20 members and on rates, taxes and fees effective December 2017 and are subject to change due to factors beyond our control. Prices DO NOT INCLUDE the cost of insurance which is available and is highly recommended. Premiums vary with the cost, length of the trip, and the traveller’s age. For passengers up to and including 74 years on departure date, premiums will range from $245 to $314 pp plus applicable taxes. Cost supplements for travellers aged 75-85 will range from $182 to $355 pp plus applicable taxes. This insurance is effective from the date of purchase and carries limitations on pre-existing medical conditions. Please discuss your insurance coverage prior to booking. Refer to terms and conditions for more details.